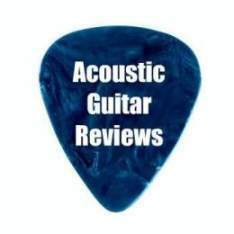 Takamine Guitar Reviews ... With a reputation for affordability and quality, Takamine brings their acoustic electrics to the table nicely. Priced at <$250, beginners can start out in style. The electronics are as varied as the guitars themselves and range from passive V/T controls to multi channel preamp/EQ combos by Shadow. The higher-end models can run more than $2800, so you have a wide choice to make here. 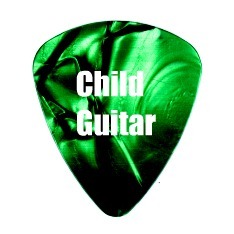 Takamime players include Glenn Frey and Garth Brooks. 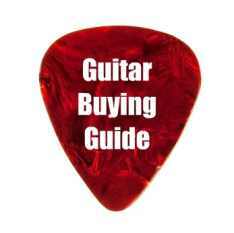 The Takamine guitar reviews include the Jasmine line, Takamine's entry-level, quality budget guitar line. The nato back and sides lend depth and warmth to the tone. Appointed with a rosewood bridge and fretboard, concentric ring rosette design, binding, and chrome diecast tuners. An onboard active preamp is included for easy amplification. Includes case. The price may be modest, but the Takamine GS330S Acoustic Guitar gives you genuine Takamine tone. There's no imitating the silky-sweet sound of a genuine solid cedar top, so Takamine has built a beautiful instrument around this one with laminated nato back and sides and a light satin finish. The result is an incredibly affordable guitar with truly high-end tone. Rosewood fretboard and expansive dreadnought body style. TP4T electronics generate realistic acoustic tone for accurate amplification. The large cutaway dreadnought body and spruce top crank out bold volume acoustically. Added warmth comes from the mahogany back and sides. The rosewood fretboard and gold tuners add a touch of visual class and smooth playability. The large solid cedar top atop koa back and sides sings out full-throated when played hard and renders the most delicate finger-picked passages with vibrant clarity. TK40 electronics bring all of the EG544SC Acoustic-Electric Guitar's robust sound to the fore onstage. Precision-crafted rosewood fingerboard, abalone rosette, and a beautiful finish result in a sharp-looking, easy-playing axe for real players. Built on a jumbo design, the Takamine EG523CDX acoustic-electric guitar from the G series possesses the greatest internal air volume and delivers a sound that matches its name. The curvature of the top profile hints at the resulting tonality of this body design. The Takamine jumbo guitar's tonal spectrum is enhanced by its dynamic range. From aggressive chord comping to gentle finger passages, the jumbo responds well to the subtle, and not so subtle demands that might be made of it. The Takamine guitar's solid spruce top offers balanced tone, while the flamed maple body brings out full projection. The dovetail neck joint, rosewood bridge and fretboard, and maple neck offer plenty of sustain, and the asymmetrical neck and 1-5/8" nut width provide comfort for intricate fretboard movements. At the heart of this Takamine guitar is an impressive electronics system, letting you amplify your sound with intuitive frequency controls. The CP-100 pickup is an innovative pickup arrangement instead of the conventional under the saddle piezo design. The Takamine guitar uses a U-shaped aluminum rail, securing the pickup and saddle for a snug fit and balanced response from the instrument, not just pressure on the strings. The Takamine TK40 preamplifier features volume control, bass, middle and treble frequency slider controls, EQ bypass, a notch filter, tuner and a mid contour switch.The G jumbo's gold hardware, gold and amber pearl tuners, and gloss finish adds a striking touch to this already beautiful instrument. This beautiful limited run guitar is equipped with a dazzling solid bearclaw spruce top instead of the usual cedar soundboard. Solid sapele mahogany back and sapele mahogany sides provide plentiful projection for live use. The integrated Cool Tube CT4BII preamp faithfully projects all the warmth of the acoustic sound in amplified environments. The built-in chromatic tuner can be turned on and off independently on the front panel, so tuning can be performed even when unplugged. The auto off function ensures longer battery life. The system is simple to use, yet provides professional-grade tone control and purity of sound. Controls include volume; low, mid, and high EQ. Switches include tuner power on/off with mute, and tuner pitch selector.Batteries can be replaced without pulling out the unit, so you don't have to loosen the strings and re-tune. Every Takamine on-board unit preamp fits its unique "SoundChoice" docking port, meaning the preamp are interchangeable. 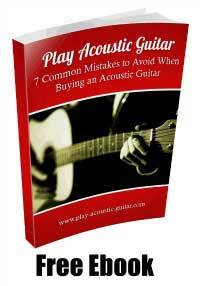 This gives Takamine players even more great options to individualize their styles and tastes. The Takamine EF341SC Acoustic-Electric Guitar features include a solid cedar top and laminated maple back and sides. The shining black finish reflects stage lights like polished glass. Its full, rich acoustic sound is great for unplugged sessions. CT-4B electronics deliver a naturally resonant acoustic guitar sound at any volume. The cutaway body style provides instant access to upper-altitude solos. The EF341SC is a favorite of Bruce Springsteen. Takamine's Kenny Chesney Signature model is your one-way ticket to a little piece of paradise. Designed by Kenny, this guitar captures the island spirit perfectly. Good times are just a couple of chords away. The Kenny Chesney Signature model features an OM body with a satin-finish solid cedar top, solid mahogany back and sides. The rosette is adorned with Kenny's original "Guitars, Tiki Bars and a Whole Lotta Love" icon inlays; they are also inlaid into the 12th fret of the fingerboard. Kenny's signature is laser-etched into the rosewood fretboard, and Kenny personally signs each label inside the guitar. To top it all off, a palm tree is inlaid into the top of the headstock. The KC70 is powered by the great Takamine CT-4B preamp with 3-band EQ and a full-function integrated chromatic tuner. The NEX body style offers superior sound and comfortable play. The solid bear claw spruce top creates a resonant soundboard while the solid Indian rosewood back and sides project beautifully. The ebony fingerboard has tasteful abalone snowflakes complemented by abalone binding and rosette inlays. The CTP-1 Cool Tube preamp houses a a 12AU7 dual triode vacuum tube for lush, warm sound. The tube runs at only 2-3 degrees above ambient temperature, so there is no concern over radiant heat. Its tuner can be calibrated from A438 to A445. An LED display reveals the note being played and directs the player with illuminated arrows that show sharp and flat. The EQ section has a shelving graphic EQ for bass and treble and semi-parametric EQ to set the mid point of the midrange frequency. A Cool Tube knob controls the impact of the tube. An auxiliary input jack and volume knob can control an additional add-on pickup of your choice and can accept a magnetic sound hole pickup, or a soundboard transducer. An AUX control knob blends the add-on signal with the Takamine pickup. A switch matches varying outputs of different pickups with the preamp. The output volume slider can then control the blended signal. The CTP-1 is powered by 4 AA batteries, which will deliver approximately 24 hours of playing time.